DISCLAIMER: Musicteck (Lotoo’s US dealer) loaned me the PAW Gold Touch in return for my honest opinion. I will send the unit back following the review. I am not personally affiliated with the companies in any way, nor do I receive any monetary rewards for a positive evaluation. I’d like to thank MusicTeck and Lotoo for their kindness and support. The review is as follows. NOTE: This review was written with firmware version 1.1.1.1. Photos not of my own were provided by Lotoo. Lotoo is an Asian manufacturer who develops digital audio players. 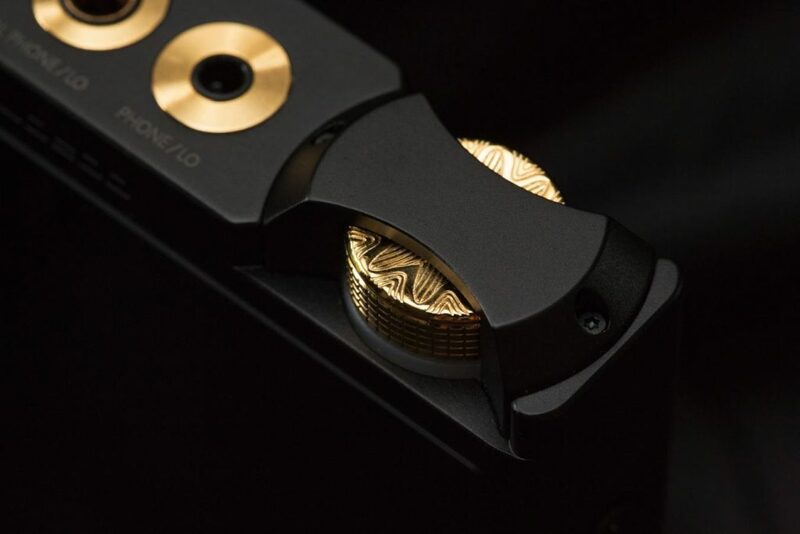 Their PAW 5000 and PAW Gold players have attained legendary status among the audiophile community – regularly praised for their rigorous build quality, excellent EQ and explosive sound signatures. Despite the mainly button-oriented nature of those players – especially within a landscape of touch screens galore – they found favour among tons of enthusiasts worldwide. 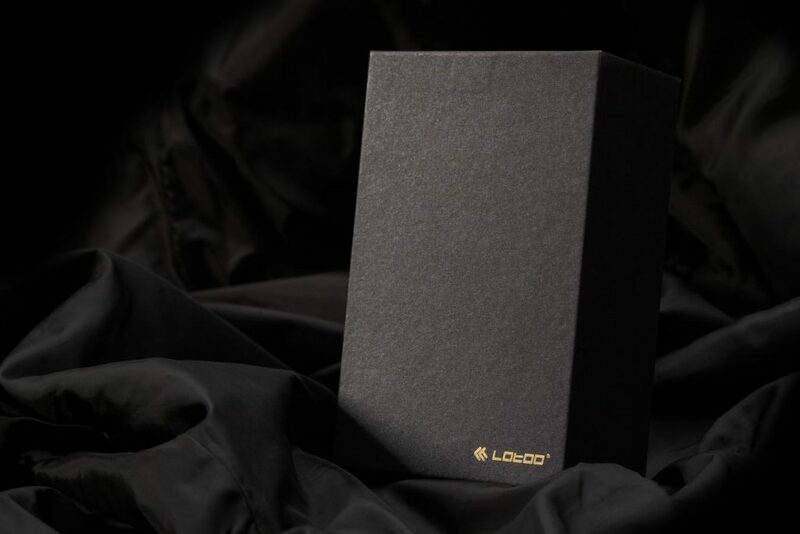 Now, after some fruitful down time, it seems Lotoo is ready to listen to the masses at large; announcing in 2018 the release of their all-new flagship DAP: The Lotoo PAW Gold Touch – sporting a price tag of $3199, a renewed sound signature and a full-fledged IPS touch display. The packaging’s outermost sleeve sports a gloss gold finish, emblazoned with the signature Apollo motif found on Lotoo’s potentiometers. Shedding the sleeve unveils a black box, accented by the slightest touch of gold – indicative of the aesthetic the player possesses. Hoisting off the top lid reveals the device securely recessed within a foam cut-out. Beneath it lies the Touch’s full slew of accessories. Included with Lotoo’s flagship player are three sets of extras neatly compartmentalised into individual mini-boxes. This is an approach I’ve seen implemented by Astell&Kern and Sony in the past, hinting at the pedigree Lotoo is doggedly pursuing. Comparisons aside, it’s a genuine display of finesse. 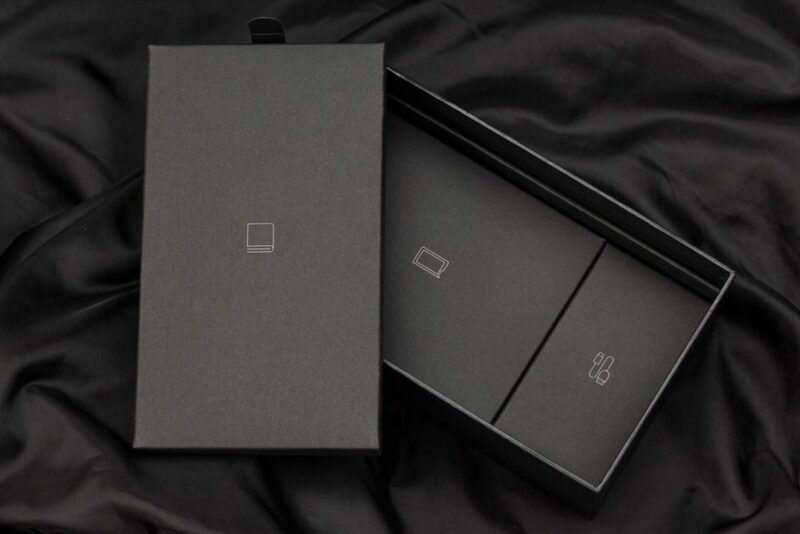 The first mini-box contains paperwork – a user’s manual and warranty card. This is also where you’ll find the included micro-fibre cloth and two tempered-glass screen protectors. Again, the latter is a great inclusion that truly exhibits the lavishness of the product. Inside the second mini-box is a sleeved USB Type-C cable. Sheathed skilfully in soft, black paracord and sporting Lotoo-engraved, gold-plated connectors on both ends, the company clearly isn’t skimping out. 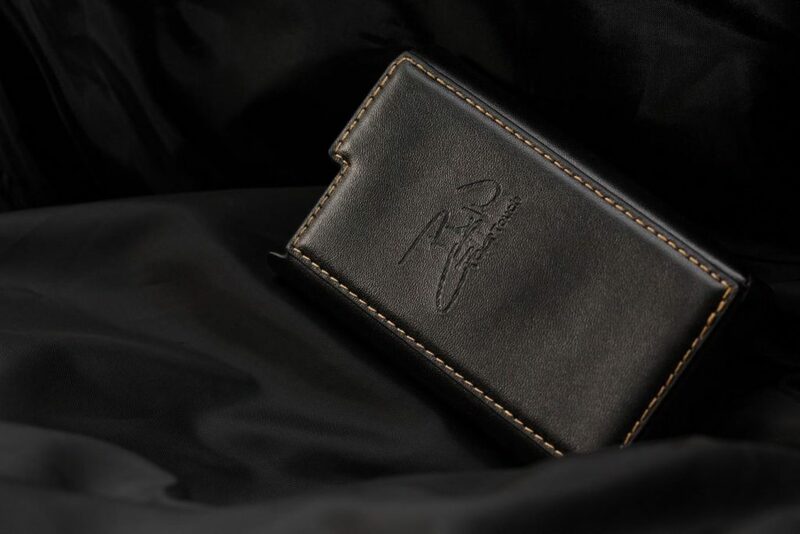 The third compartment houses the Touch’s gorgeous leather case. 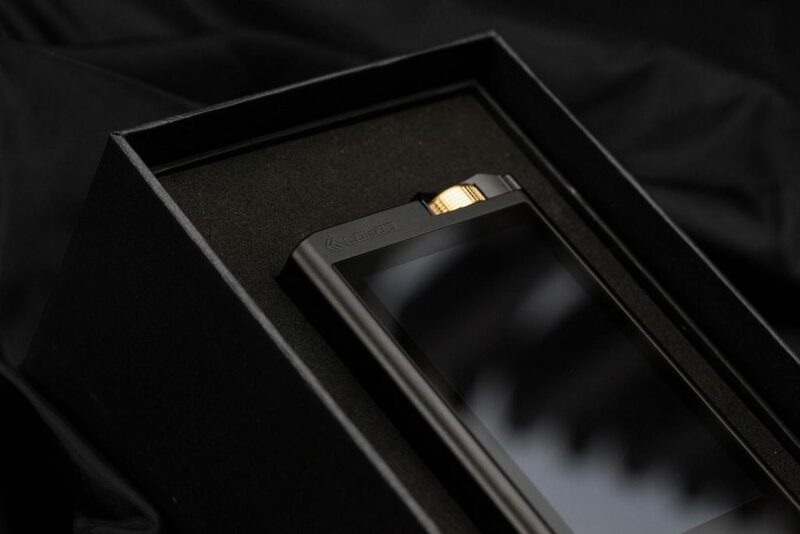 Chromatically, it evokes the device’s aesthetic: All black and accented exquisitely with gold stitching around the rear. Visually, it’s flash and finesse in equal measure, and it’ll be difficult to top when aftermarket offerings start rolling in. The button indicators and logos engraved all around show excellent precision, especially the stylised PAW Gold Touch emblem on the rear; subtle and stylish simultaneously. One of my only two knocks would be on feel. There’s a slightly oily touch to it that isn’t perhaps as smooth as offerings from MITER or DIGNIS. Clearly, this is a minor con given their prices. To Lotoo’s credit, I’d say everything bar feel is on par with anything MITER, DIGNIS or musashino LABEL have produced. Secondly, despite the cut-out for the USB port, there isn’t one for the SD card slot. It’s a notable exclusion, but it’s something Lotoo can easily remedy moving forward. 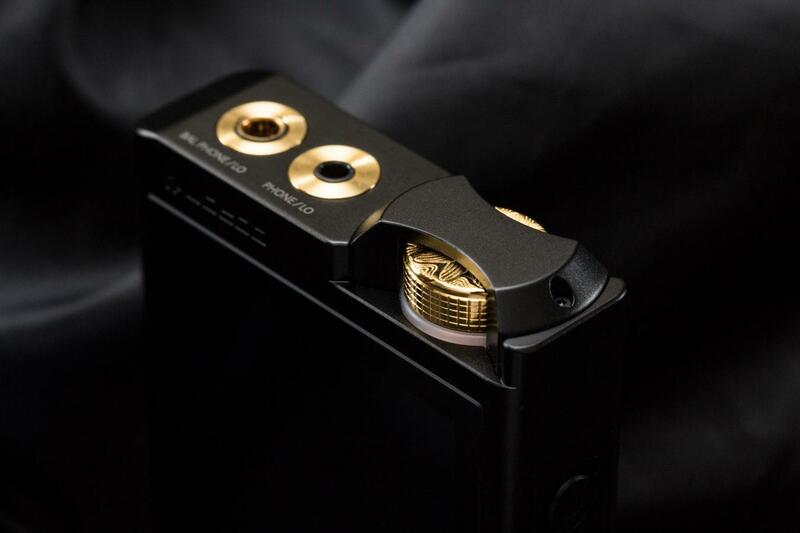 Stating the obvious, Lotoo’s PAW Gold Touch is an exquisitely-built device. Although its blocky form may suggest a more utilitarian approach, the Touch gradually reveals itself as a champion of luxury and class. There’s extreme finesse in how the player comes together. Despite hints of screws and seams here and there, the Touch’s CNC-milled, aluminium-alloy shell may as well have been a unibody design – neither a rough edge, nor an uneven surface nor a loose joint in sight. Visually, it’s clear that they’ve maintained the same motif present throughout their previous releases. This is in form and colour, and especially along the volume wheel too. But, several more modern inclusions have made the cut as well. The Touch sports grooves along the sides for a more secure grip. And, curvature along the edges boost ergonomics as well. The chassis’ matte-black exterior oozes class with flawless finishing. It’s a sandblasted finish that’s reminiscent of Apple’s Macbook Pros or Sony’s modern Walkmen. And, all this black only serves to accentuate the bling on dat volume wheel. Quite literally the PAW Gold Touch’s crown jewel, the Apollo Sun volume wheel is as nostalgic as it is gorgeous. It’s shiny, shimmery, splendid and an awesome throwback to Lotoo’s previous audio players as well. More impressively, they’ve managed to integrate it within a classy, suave and luxurious aesthetic without coming across corny. Accenting the wheel is a white LED ring at its base. The ring pulses to signify playback, but you can turn it off to conserve battery life as well. Turning the potentiometer feels smooth, and it’s recessed within the player sufficiently to prevent accidental turns. A neat feature I found on the Settings menu is the ability to determine which direction the wheel turns to indicate volume up or volume down. The wheel is on the looser side, with a fair bit of play in either direction before registering a click. This definitely isn’t a dense, heavy wheel that you’d find on a dedicated amplifier, for example. But regardless, it’s an incredibly solid-feeling, smooth-turning and visually stunning piece that deserves to sit atop the Touch’s gorgeous body. The PAW Gold Touch sports the classic set of physical buttons along the side of its chassis: Power, Play/Pause, Previous and Skip. 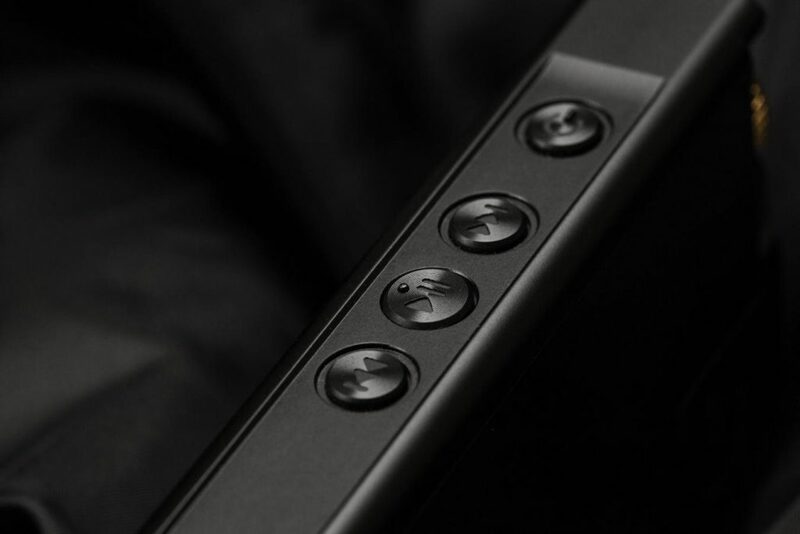 Tiny bumps are present to indicate the first two buttons, making blind navigation a breeze. The buttons are beautifully machined and depress with a solid, satisfying, tactile click. And like the volume wheel, they sit securely within the chassis with zero wiggle as well. Also impressive in this regard are the 4.4mm and 3.5mm (also line out) jacks along the top. Among all my digital audio players, the Touch sports the most precisely machined and installed sockets I’ve experienced, leaving no air gaps or wiggle room. In addition, the gold, ring-y aesthetic is reminiscent of old vinyl records. 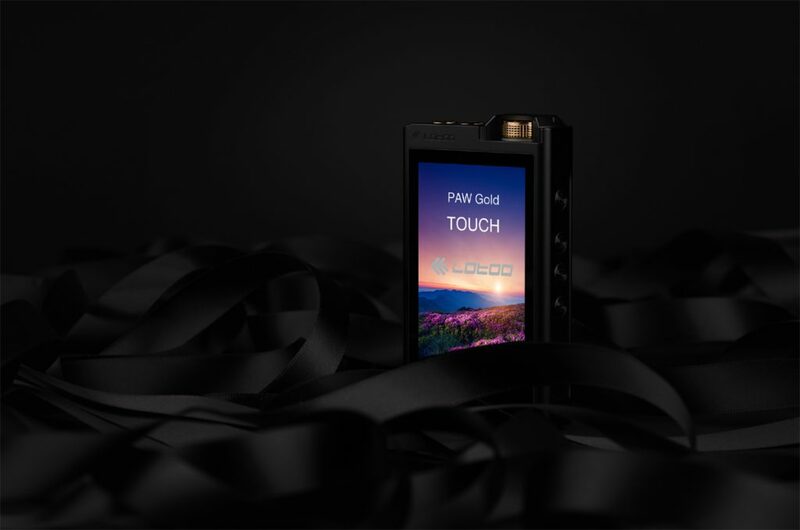 Considering what’s become of screen sizes nowadays in both the smartphone and DAP worlds, I think many will find the PAW Gold Touch a reasonably-sized device. As someone who frequents an iPhone 6 Plus and Sony’s WM1A, the Touch definitely felt smaller to me. Although I’ve gotten used to the larger text and album art that my other devices have made available to me, I love the form factor of the PAW Gold Touch for how comfortable it is in the hand, and how easy it is to operate as well. Despite the relatively smaller size, the Touch isn’t a featherweight. But to me, it isn’t inconvenient-heavy; rather, it’s substantial-heavy – truly indicative of the Touch’s exceptional build quality. If audiophiles out there are willing to lug around Sony WM1Z’s and Cayin N8’s in their pocket, I can’t imagine Lotoo’s Touch being too unwieldy for anyone.